'Reuters news agency is quoting an official with the French firefighting team as saying: "We can now say that the structure of Notre-Dame has been saved from total destruction". The fire is devastating and difficult to watch. I am really upset. I have been to Paris three times in my life, and I visited the cathedral each time. This is one of those events where almost the whole world unites in a similar process of mourning. 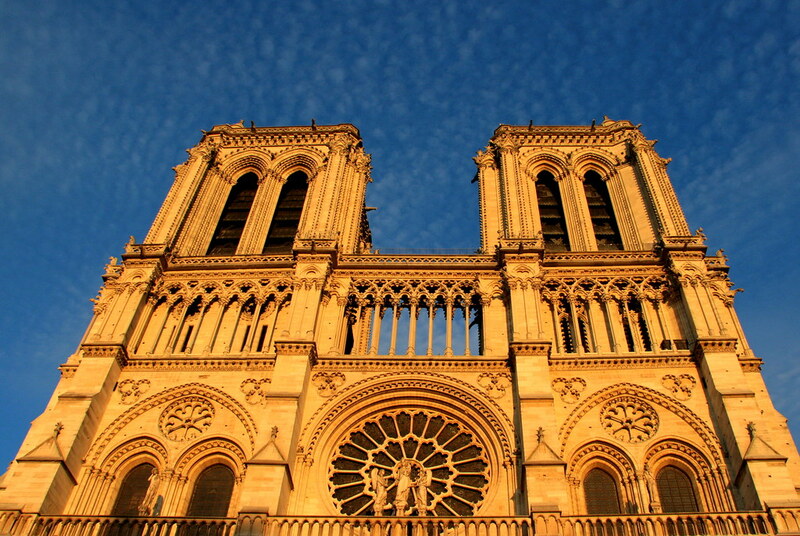 Notre Dame is an iconic historic structure well beyond its ties to French/Roman Catholicism. It was devastating to watch no matter one’s religion or country of origin. I wonder whether the core structure really can be saved the way they’re saying with all the smoke and water damage to all that old wood. Last edited by DaveM; Apr-16-2019 at 05:31. Me too, special the organ playing sounded stupendous . After surviving all these centuries and two world wars, and now this. That's tragic. One gloomy Sunday morning some years back, when a mass or two was being murmured in the darkened cathedral, I was considering the history behind a memorial by the South? rose window, which commemorated the Liberation of Paris in 1945. Suddenly the famous orgue of Notre Dame struck up and I burst into tears with the significance and beauty of it all. On an Easter Sunday long before, I had heard Messaien playing that organ. A young Australian organist, who has been in contact with the Notre Dame organists since the fire, says any damage to the organ is likely to be everlasting. And the same goes for the rose window it seems. Last edited by jenspen; Apr-16-2019 at 05:58. The interior is possibly in a somewhat better condition than could be expected, compared to pictures from yesterday evening. Parts of the roof/ceiling went down though. Last edited by joen_cph; Apr-16-2019 at 06:44. Last edited by KenOC; Apr-16-2019 at 06:48. Awful. Let's hope that they can rebuild it. Many churches and cathedrals have fallen (to the elements or deliberate destruction) to be rebuilt in some form. Notre Dame doesn't appear to be in the sort of state Coventry Cathedral was brought to in 1940, which is still a ruin. However, the Frauenkirche in Dresden was rebuilt after lying in total ruins for some 50 years. It takes will and decision-making. These buildings were originally built without regard for 'practicality' or 'economic viability' in the modern sense. Last edited by eugeneonagain; Apr-16-2019 at 09:38. Last edited by joen_cph; Apr-16-2019 at 11:36. This may spur very serious efforts to secure these flammable cultural treasures from the same fate, so that, if a fire breaks out, the resources are immediately available and equal to the task. When one adds to this the incredible vandalism that ISIS and the Taliban have wrought throughout the areas they control, it chills the heart that world cultural heritage is so easily destroyed. First and foremost I'm grateful that no lives were lost. This building nor any other is worth the life of a firefighter. Having said that, I was sorry to see it burn. I think that goes without saying - as I'm sure we all assumed. Very sorry to see it on fire on the news video - that moment when the spire collapsed! Such sadness and shock for the people of France. I am sure the will to restore the church is there, and I'm glad that it isn't all bad news - that some treasures were salvaged, and above all, that no lives were lost. How can it have started? Last edited by Ingélou; Apr-16-2019 at 11:54. It's probably easy to identify where the fire started, but a bit more tricky to establish why. They'll have to map electrical / tool sources etc. and other factors. Last edited by joen_cph; Apr-16-2019 at 12:05.